Psychotherapists target a wide range of clinical disorders, adopt diverse theoretical approaches, and operate within multiple treatment settings. As such, a unifying definition of adherence in the field of psychotherapy is not yet tenable. 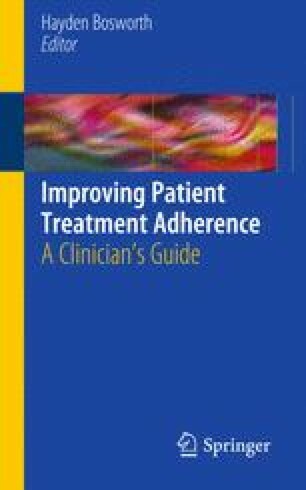 We therefore limit the scope of this chapter to an examination of adherence in the context of individual outpatient psychotherapy delivered to adult populations, with particular attention paid to evidence-based, cognitive-behavioral treatments. In this context, issues of adherence may be broadly summarized into two categories. The first, premature termination, has relevance across the full range of theoretical approaches. The second, failure to complete between-session tasks and exercises, is more specific to cognitive-behavioral interventions.